Outside the Box offers a roster of gallery-based talks given by a variety of guest speakers over the course of a season. In this series, lecturers with diverse backgrounds and affinities will address the New Museum’s current exhibition, “Sarah Charlesworth: Doubleworld,” in forty-five- to sixty-minute presentations taking place exclusively in the Museum’s galleries. As a way to emphasize the Museum’s strong commitment to new art and new ideas, Outside the Box talks are open to the public and are intended to provide participants with multidisciplinary perspectives on New Museum exhibitions. To this end, lecturers will speak about the exhibition or themes emergent in Charlesworth’s works from the various positions they occupy—be they academic, personal, political, etc.—and will engage in rich investigations that illuminate and probe the Museum’s current exhibition program. Liz Deschenes is an artist who uses photographic processes to reflect upon and push the bounds of the medium itself. Her work often makes precise reference to its institutional site and the history of imaging technologies. Deschenes was the recipient of the 2014 Rappaport Prize, and one-person exhibitions of her work have taken place at the Massachusetts Museum of Contemporary Art, North Adams; the Walker Art Center, Minneapolis; Secession, Vienna; Miguel Abreu Gallery, New York; and Campoli Presti, London; among others. A survey exhibition is forthcoming at the ICA/Boston in the summer of 2016. Her work has also appeared in recent group exhibitions at the Museum of Modern Art, New York; the International Center for Photography, New York; the Metropolitan Museum of Art, New York; the Hessel Museum of Art, Annandale-on-Hudson, NY; and the Fotomuseum Winterthur, Switzerland. In 2012, Deschenes was included in the Whitney Biennial and in a two-person exhibition (with Florian Pumhösl) at the Art Institute of Chicago. She teaches at Bennington College and is a visiting artist at Columbia University’s School of Visual Arts and at Yale University. Sara Greenberger Rafferty has exhibited widely since 2001, including solo presentations at the Kitchen, New York; MoMA P.S.1, Long Island City; Eli Marsh Gallery, Amherst College, Massachusetts; and the Suburban, Oak Park, Illinois; and a commissioned sculpture for the Public Art Fund. In 2014, she participated in the Whitney Biennial, the Whitney Museum of American Art, New York; “Made in L.A.,” the Hammer Museum, Los Angeles; and she had solo exhibitions in Portland, Oregon; Riga, Latvia; and New York. In 2015, her work has been part of exhibitions at the Museum of Contemporary Art, San Diego; the Atlanta Contemporary Art Center, Georgia; and Galerie Andreas Huber, Vienna. Rafferty has participated in group shows at venues such as the Aspen Art Museum, Colorado; the Neuberger Museum of Art, Purchase, NY; Gagosian Gallery, New York; and the Jewish Museum, New York, among many others. Her work is included in the collections of the Museum of Modern Art and Whitney Museum of American Art, among others. Rafferty teaches full-time at Hampshire College and lives and works in Brooklyn. Her work is represented by Rachel Uffner Gallery in New York. Matthew C. Lange is an artist based in Brooklyn, NY. Since receiving his MFA in Photography, Video, and Related Media from the School of Visual Arts in 2011, Lange has staged performances and exhibited work at MoMA P.S.1, Long Island City; Printed Matter, New York; the International Center of Photography, New York; NurtureArt, Brooklyn; and Signal Projects, Brooklyn. In addition to serving as a visiting artist at Princeton University and as a lecturer at CUNY, New York City College of Technology, Lange is the studio manager for the Estate of Sarah Charlesworth. James Welling’s work centers on an exploration of photography, shuffling the elemental components of the medium to produce a distinctly uncompromising body of work. Welling is also intensely interested in cultural and personal ideas of memory. In opening up the medium of photography for experimentation, his work has influenced an entire generation of artists and photographers. His photographs have been exhibited widely in the US and internationally, and have been the subject of solo exhibitions at, among others, the Art Institute of Chicago (2015); the University Museum of Contemporary Art, UMASS Amherst (2013); the Cincinnati Art Museum, OH; Fotomuseum Winterthur, Switzerland (2013); Wadsworth Atheneum Museum of Art, Hartford, CT (2012); MK Gallery, Milton Keynes, England (2012); the Minneapolis Institute of Arts, MN (2010); the Horticultural Society of New York (2007); Palais des Beaux-Arts, Brussels (2002); Art Gallery of York University, Toronto (2002); the Wexner Center for the Arts, Columbus, OH (2000); Sprengel Museum Hannover, Germany (1999); Carnegie Museum of Art, Pittsburgh (1998); and the Kunstmuseum Luzern, Lucerne, Switzerland (1998). 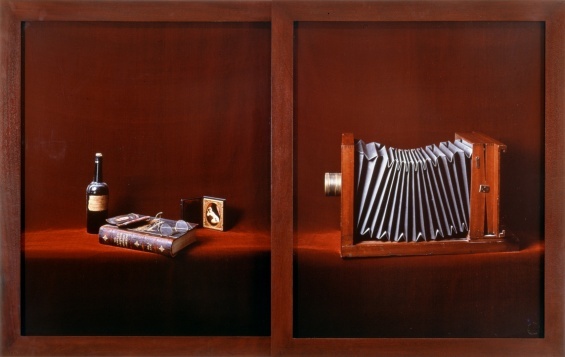 In 2009, Welling’s work was featured in the critically acclaimed historical survey, The Pictures Generation, 1974–1984, at the Metropolitan Museum of Art, New York, and in 2008, he participated in the Whitney Biennial. In 1992, his work was included in documenta IX. Welling has taught at UCLA since 1995 and has held a visiting appointment at Princeton University since 2012.